PERRY, GA—Explaining to the residents that the matter was simply out of his control, television host and landlord Sean Hannity informed tenants living in buildings he owns about the deep-state conspiracy that was forcing him to triple their rents, sources confirmed Tuesday. 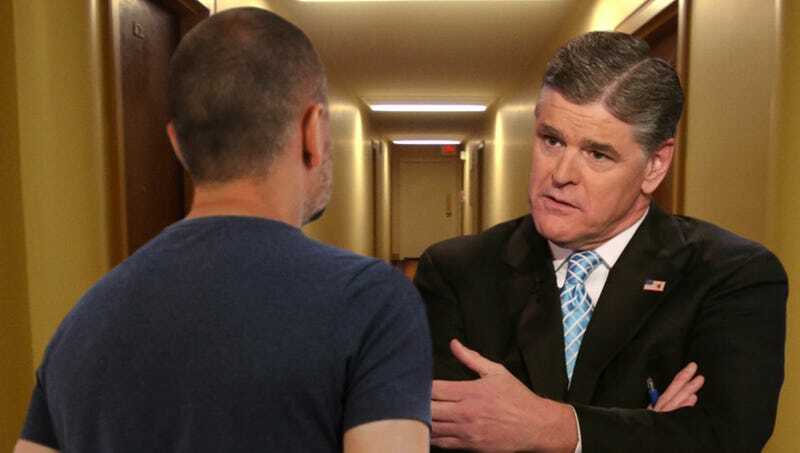 “I’m sorry, folks, but raising your rent is the only way I can cover cost-of-living increases, property taxes, and the vast effort by the military-industrial complex to undermine President Donald Trump’s most dedicated supporters,” said Hannity, adding that anyone in the apartment complexes who was unable to pay thousands of dollars extra per month, thus exposing him to Special Counsel Robert Mueller’s rogue attacks on American patriots through apartment leases, would be evicted. “Listen, I don’t like being under the thumb of the deep state any more than you do, but this is all part of being a landlord. There’s just a lot I have to take into account, whether it’s building codes, keeping pests out, or the far-reaching schemes of a criminal cabal of left-wing intelligence agencies, Barack Obama, and the Clinton Foundation to dismantle the president’s agenda by forcing landlords to raise rent. Furthermore, the deep state demands that rent increases start on the first of next month instead of when your lease is up.” Hannity also warned several tenants requesting repairs in their apartments that attempting to fix anything was playing right into the deep state’s hands.